We are thrilled to announce the nominees for the 2015 Cue Awards! Have a peek below and then get into the voting mix by casting your very own in this year's GENIUS CHOICE VOTE! The Genius Choice vote is open until 11:59 PM ET, March 6, 2016, so get in there and vote and be sure to tell your soundtrack-genius-friends to vote as well! 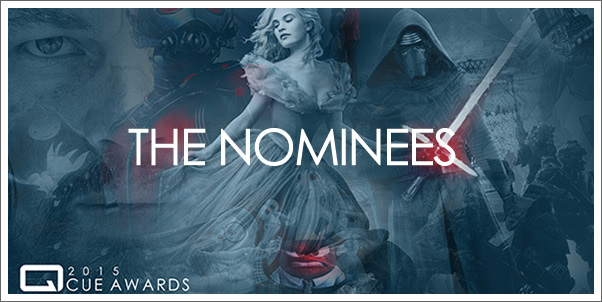 So what do you think of this year's nominees? Any surprises? Disappointments? Also, don't forget to cast your vote for each category in this year's GENIUS CHOICE VOTE!